Spiral galaxy in Cetus. Reasonalbly bright and more or less round with an off centre nucleus. With adverted vision, the nucleus appears to have a bar. 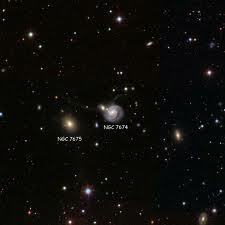 The companion is within the outer halo of 191. 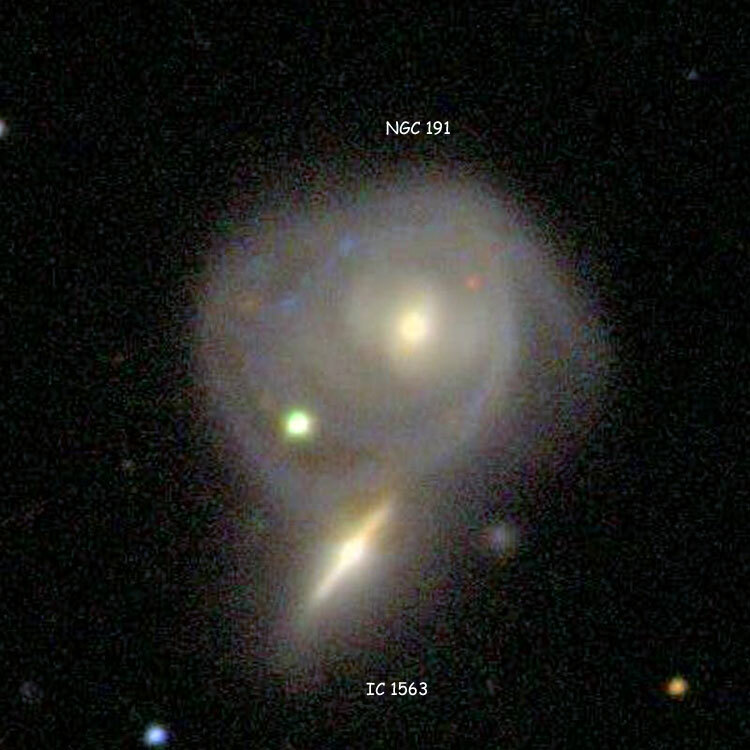 It is IC 1563 and it looks like the nucleus of 191. There is a faint star involved between the two. 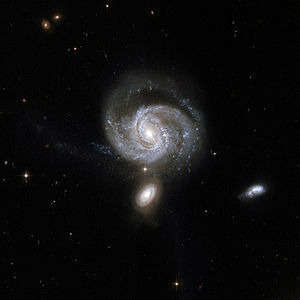 Spiral galaxies in Pegasus. There are several other galaxies visible in this little group. 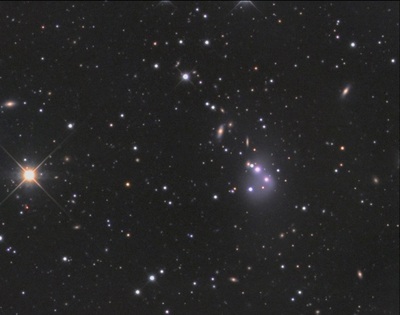 NGC 7552 is just barely visible with NGC 7578. Very close together. NGC 7578A is quite a bit smaller, but has a fairly bright nucleus – a pinpoint surrounded by a faint halo of light. 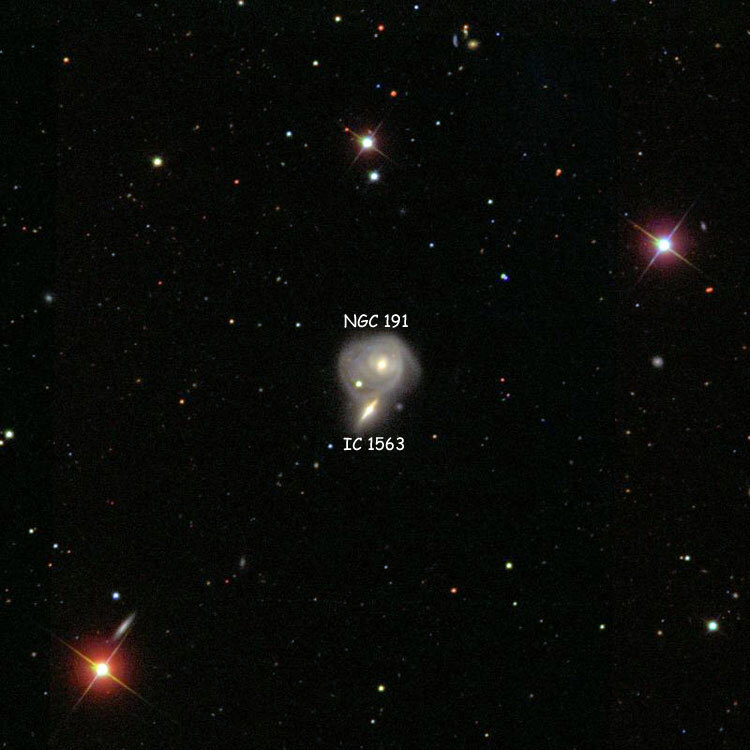 NGC 7578 is quite a bit brighter and larger with a larger nucleus surrounded by a larger round halo with indistinct eges. Best at 225X. Elliptical galaxy in Pegasus. Very faint and ever so slightly brighter in the center, fading off to very indistinct edges. 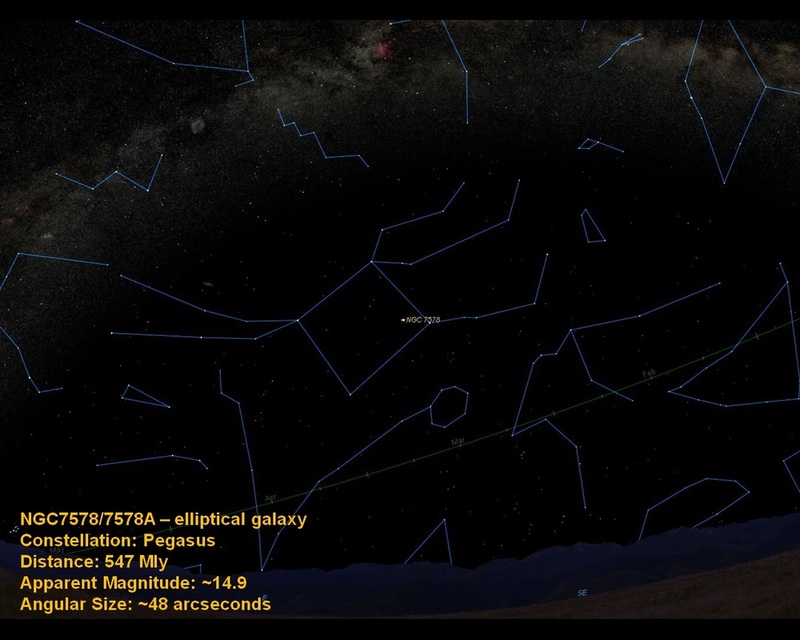 This is something you see with only averted vision and a large telescope. Best at 225 power.